The Alameda All Stars have been performing throughout the Bay Area and beyond for 25 years. During their illustrious history the All Stars have kept up a high level of musicianship along with a very professional approach to entertaining audiences. Their infectious dance beat and humorous asides are sown throughout a well-planned stage show. Over the years the band has also been a springboard into the high levels of the music biz. 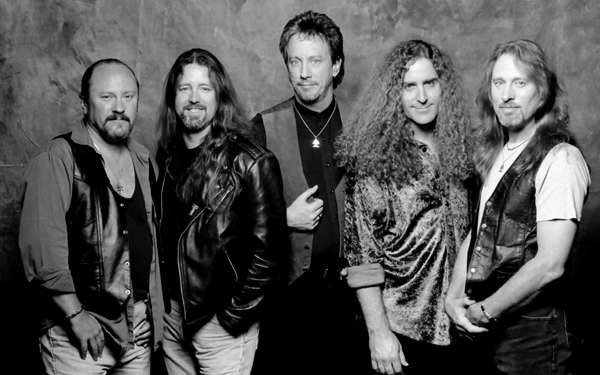 From 1979-1986, All Stars alumni, Brad Gillis (Night Ranger, Ozzy Osborne), Kelly Keagy (Night Ranger), Jeff Watson (Night Ranger), Alan Fitzgerald (Night Ranger, Bruce Springsteen) & Danny Chauncey (.38 Special), all honed their chops while regularly performing with the All Stars. During these years the All Stars took on a "band de jour" type image, constantly changing the lineup based on who was on the road or in town, between tours with their "real" band. It was loads of fun for all the players to be involved in such a band which allowed easy access to playing with a wide variety of talented musicians. The clubs loved it too because we packed 'em in every night. Then, in late 1990 something happened that forever changed the band: the Alameda All Stars met legendary southern bluesman Gregg Allman. A fast musical connection was made and Gregg and the All Stars began performing shows together. A whole new level of commitment came over the band. Rather than the All Stars being the "jam" band that everyone came to play in, the All Stars itself became the "real" band. Since then, the band has never looked back... and we're still packin' 'em in!